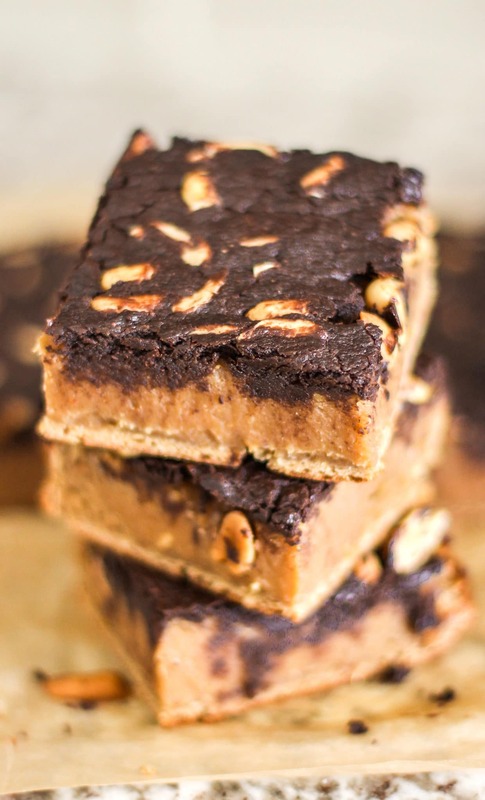 Mmmmm… Peanut Butter Blondies. Topped with Brownies. And made good for you? YES, PUH-LEASE. 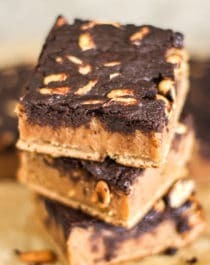 These Healthy Brownie-Topped Peanut Butter Blondies have a dense and fudgy peanut butter blondie base, a decadent and delicious brownie topping, and a generous sprinkle of crunchy peanuts. Preheat the oven to 350 degrees Fahrenheit and line an 8" brownie pan with parchment paper both ways. 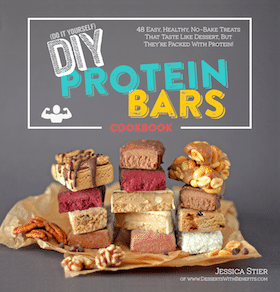 In a food processor, add the applesauce, garbanzo beans, stevia extract, peanut flour, erythritol and salt. Blend until completely smooth. Last, add the baking powder. Scoop the mixture into the prepared pan and spread it out (I used an offset spatula to spread it out). Sprinkle on the peanuts and lightly press them into the blondie batter. 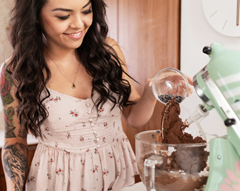 In a small bowl, whisk together the water, peanut butter, coconut oil, cocoa powder and powdered erythritol. Spread this over the blondie batter. Bake for 45 minutes. Let cool, then slice and serve! Did you know typical blondies are made with sticks of butter, overly processed white flour, lots of eggs, and a little too much sugar? 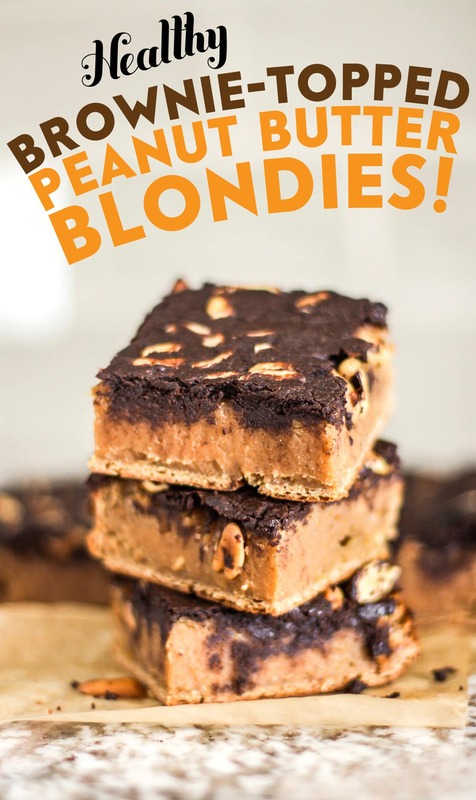 These healthified blondies are made with a base of garbanzo beans (don’t be scared, you can’t taste ’em! 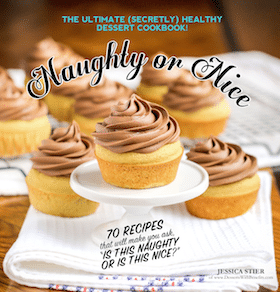 ), applesauce to replace the butter, and all natural erythritol plus some organic stevia extract to replace the sugar. For the brownie topping, we’ve got a mix of peanut butter and coconut oil, which is mixed with cocoa powder to make it “brownie-like.” Then, some roasted peanuts get stirred in for some crunch! Love these blondies Jessica!! 🙂 I LOVE anything peanut. Also, these are definitely healthy enough to be breakfast…so yeah…;) Imma eat those!!! I definitely eat more than 5 oz. of nuts in a week…especially because my work office supplies some of the best! They have these Smokehouse flavored Blue Diamond almonds and they are AH-mazing. And I have cashews as my little snack on the way home from work most days. These look AMAZING! I bet they taste even better than they look! Hope you have a wonderful rest of your day!